Peg always felt a little blurred, a little lacking in definition. Her mother died when she was six, her father simply disappeared, and she was brought up by her grandparents and her obese, bedridden aunt. But, despite all this, she never developed the habit of asking questions. At least, not until she met Loz, her straight-talking, psychotherapeutically literate girlfriend, who urges her to confront her demons. Peg is in her twenties and has very little memory of her childhood. She knows that her mother died when she was only a young child and that her father disappeared soon afterwards. She was brought up by her beloved nan and granddad, the gentle and kind Dolly and Frank together with aunty Jean – her father’s parents and sister. Peg has never been a confident person. Although she felt loved by her grandparents and Jean, her schooldays were miserable and friendless and she has always believed everything she has been told without question. However, she now realises that she is starting to remember snippets of her childhood – is her memory playing tricks on her or is she really remembering? There are some very unlikeable characters in Peg’s life. Her father seemed to be a shady character – a nightclub owner who appeared to be involved in some unlawful activities. Her aunty Jean is a vile character, she is manipulative and despite being bedridden for many years due to her obesity, she still insists on continuing to eat her own bodyweight in food and smoking her cigarettes in between puffing on her oxygen mask. I didn’t really warm to Peg either at first – I thought she was too meek and too easily manipulated by other people, especially her feisty girlfriend Loz and her aunty Jean. This was a slow burner of a story and whilst not an edge of your seat thriller, it starts very slowly with the tension building throughout the book, with sinister twists and turns until the conclusion – which I never saw coming. Peg, with Loz’s help, tries to put together her fragments of memory and find out the truth concerning her family never imagining the danger heading her way. This was an excellent read and I would certainly recommend it. A chilling psychological thriller portraying the disintegration of a relationship down to the deadliest point. Jodi Brett and Todd Gilbert are a couple in their mid-forties who have been together for 20 years in a dysfunctional relationship. They have a desirable property by the waterside and live a comfortable lifestyle courtesy of Todd’s career as a property developer. Jodi works part time from home as a therapist however she picks and chooses her clients and will not deal with people who have more serious issues. Todd is a serial cheater and Jodi’s way of coping is by turning a blind eye and pretending that nothing is wrong with their relationship. She keeps her routine and looks after the house and doesn’t confront him and lets him carry on with his affairs – until however his current girlfriend, Natasha, who is 20 years old and the daughter of his oldest friend falls pregnant and wants marriage. Todd’s life begins to spiral out of control and Jodi is caught up in the carnage. These two people who lived together for many years in their own separate bubbles become embittered, each trying to protect their way of life and standard of living. The story is told by alternate chapters of “Him” and “Her” which worked very well by way of narration. Both Todd and Jodi had troubled childhoods which for better or worse have shaped them into the people they are and the writer has expertly provided depth to their characters. You would think that Jodi, as a therapist, would be able to put her professional skills to good use in their relationship however this doesn’t appear to be the case. This was an interesting read and whilst very well written, the “thriller” aspect of the story was lacking for me. Both characters were unlikeable and I couldn’t muster any sympathy for either of them, however watching the destruction of their lives and relationship made for compelling reading. Neither character is inherently evil – Todd is selfish and thinks mainly of himself whilst trying to justify his actions and Jodi is a passive character, who unbeknown to Todd, takes her pleasure from exacting her revenge in small ways. There were times when I felt the book was overly “wordy” and began to feel like a text book on psychology – I wanted to skim read these parts however the story was good enough overall for me to continue reading to the conclusion. Very sadly there will be no more from this author. A.S.A. Harrison is the author of four nonfiction books. 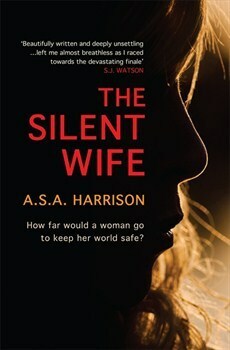 The Silent Wife is her debut novel, and she was at work on a new psychological thriller when she died in 2013. Harrison was married to the visual artist John Massey and lived in Toronto. In the third trimester of her pregnancy, Baltimore private investigator Tess Monaghan is under doctor’s orders to remain immobile. Bored and restless, reduced to watching the world go by outside her window, she takes small comfort in the mundane events she observes . . . like the young woman in a green raincoat who walks her dog at the same time every day. Then one day the dog is running free and its owner is nowhere to be seen. Certain that something is terribly wrong, and incapable of leaving well enough alone, Tess is determined to get to the bottom of the dog walker’s abrupt disappearance, even if she must do so from her own bedroom. But her inquisitiveness is about to fling open a dangerous Pandora’s box of past crimes and troubling deaths . . . and she’s not only putting her own life in jeopardy but also her unborn child’s. Previously serialized in the New York Times, and now published in book form for the very first time, The Girl in the Green Raincoat is a masterful Hitchcockian thriller from one of the very best in the business: multiple award-winner Laura Lippman. Private Investigator Tess Monaghan has been ordered to have complete bedrest in the last weeks of her pregnancy and has had to leave her business in the capable hands of a colleague, the delightfully named Mrs Blossom. Bored and fed up whilst laying in the sun porch, Tess notes the daily walk of a young blonde woman in a green raincoat and her small greyhound (also wearing a matching green coat) in the nearby park. One day the dog appears running from the park, trailing its lead, but no owner appears. Tess is more than intrigued; she has to know what has happened and from her daybed, directs an investigation not realising the potential danger she is exposing herself and others to. I remember watching the classic Hitchcock film “Rear Window” many years ago and any similarity with this story and the film is fully intentional and acknowledged by the author. 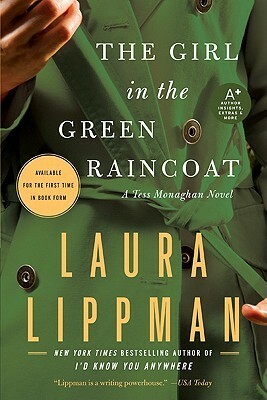 Even though this is a novella of just 158 pages, Laura Lippman has created a great character in Tess Monaghan. She is gutsy, witty and wholly believable. Her boyfriend Crow, best friend Whitney and the above mentioned Mrs Blossom complete the cast of regular characters in Tess’ life all of whom I found engaging. Even the minor characters were fleshed out enough to have a meaningful part in the story. Dempsey, the missing owner’s dog has his own part to play and his antics with the antique chamber pot provided a few amusing moments. The storyline has plenty of pace for such a short book with dubious characters, twists and suspense to the end and as a diversion from the mystery aspect, there is a sub story involving the love life of one of Crow’s young colleagues. This was the first Laura Lippman book I had read and also the only one so far in the Tess Monaghan series (of which this #11) however I shall be seeking out the back catalogue. I enjoyed the character of Tess too much to leave her stories at this book. 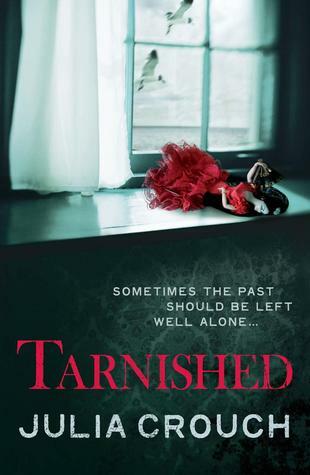 I’ve enjoyed reading Tasmina Perry’s previous books – despite being the size of door-stops they were glitzy and racy reads and an escape from normality although I have to admit that one or two of the later books haven’t always hit the mark for me. However, the latest offering, The Proposal, is a completely different type of read and I absolutely loved it. 26 year old American waitress/dancer, Amy Carrell, is expecting a proposal. She has spotted a Tiffany ring box in a drawer belonging to her high flying boyfriend Daniel and when he invites her to a posh pre-Christmas party, she is expecting a magical evening. However instead of a marriage proposal, she finds herself dumped, basically because Daniel and his parents do not consider her to be good enough. When she subsequently answers an advertisement for a travelling companion for a trip to New York, it is merely a way for a cash-strapped Amy to be able to visit her family at Christmas whilst deciding what to do next. Little does she know how much of an impact on her life, her travelling companion, the elderly Georgia Hamilton, will have. The story then slips back from 2012 to 1958 when we meet 18 year old Georgia Hamilton. Georgia having attending a Parisian finishing school, is fiercely independent with dreams of becoming a writer. However her family have other ideas and she is being heavily encouraged by them to participate in ‘The Season’ – to come out as a debutante with the end result of finding herself a rich husband. What Georgia lacks in temperament and the correct family background, she makes up for with strength of character and spirit and you feel for her as she tries to fit in with her peers. Georgia’s time as a debutante was one of my favourite parts of the book. The glamour, the parties, the excitement of romance and the competitiveness between the girls as to who would bag the most eligible young men was brilliantly executed and I felt as though I were a bystander watching this most English of traditions. Both Georgia and Amy were wonderful characters. Georgia’s background meant that she was a very proud and genteel lady and her attempts to advise and educate Amy in how to dress and which cutlery to use were countered by Amy’s sense of fun whilst showing Georgia around New York. Despite their difference in ages and lifestyle, you could feel the genuine fondness that developed between the two women and although her successful career had made her a very rich woman, there is a great sadness in Georgia’s life, and one which Amy is determined to put right. I’ve never been to New York but the excellent descriptions of Central Park in December, the cold, the glamorous cafe’s and the general hustle and bustle really made it come to life. (There is a very good brief guide at the back of the book, giving more details of some of the NY locations visited). This could easily be a contender for my book of the year. I loved spending time with both Georgia and Amy and was quite sad to get to the end. There is everything in this book – fabulous locations, glamour, romance and betrayal and I can’t recommend it highly enough. My thanks to the Amazon Vine programme for the copy to review. I couldn’t finish this review without adding a picture of my own – and had to include the matching chocolate bar, courtesy of the publisher, Headline. 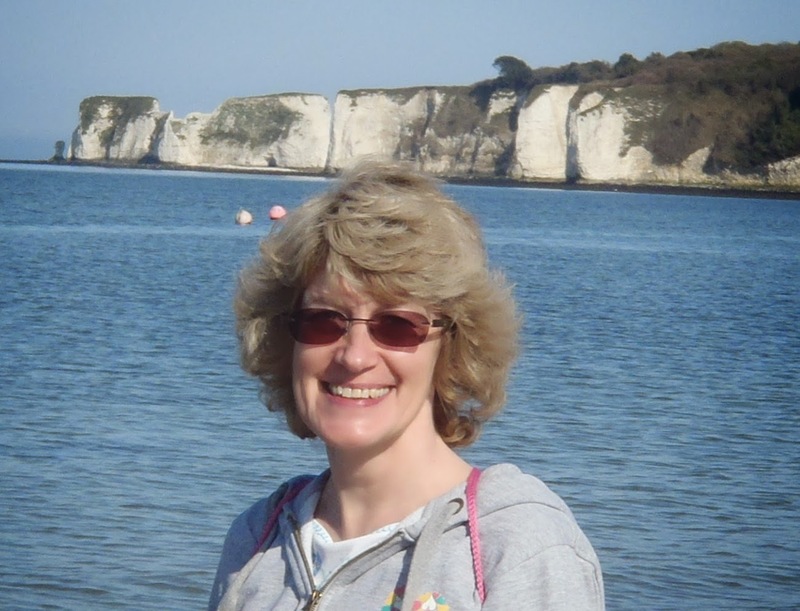 I’m delighted to welcome my very first guest to ‘My Reading Corner’ – Jane Cable. Jane’s debut novel ‘The Cheesemaker’s House‘ was published in August 2013 and she has very kindly taken the time to answer a few of my questions. You have created some very interesting characters in The Cheesemaker’s House. Do you ever base your characters on people you know? Not generally, no. Alice, in particular is her own woman but I still hope she is recognisable to most of us. Sometimes I borrow people’s physical characteristics though and one of those is Richard. And as when I wrote the book my expectations of publication were tiny I didn’t bother to change his name. The character is also just a little bit like the real Richard in that he’s a bit of a cheeky chancer too. My problem is that the real Richard and his wife are going away for Christmas and have bought copies of the book to read on holiday. I reckon he may not notice but I am sure as soon as his wife reads Alice’s initial description: “tall, dark and handsome with a couple of days of designer stubble and a gold hoop in his left ear” then I’m in trouble! How long did it take you to write the book and did you plan the storyline in detail at the beginning or just run with it? I started The Cheesemaker’s House in early 2009 and just ran with it. I know some authors plan a book but I have a rough idea and let the characters tell their own story as they develop. The plot did change quite dramatically as I went along and I re-wrote the ending several times before I was satisfied with it. I also tend to write from the heart the first time then go back and edit later. I am completely untutored as a writer and some of the best advice I got was from Sophie Hannah who told me that I had a great deal of polishing to do before the book would be ready for publication. She was right and it was well worth all the hard work going over and over the manuscript to make sure it was as good as it possibly could be. How did you come up with the design for the book cover? My publisher, Matador, has to take a lot of the credit for this. I had a few ideas and I knew there were a handful of images which were important to the plot. The designers at Matador asked me which book covers I liked and the one which resonated with me most was Charlotte Rogan’s The Lifeboat – I thought the use of colour and of a single image were really striking. 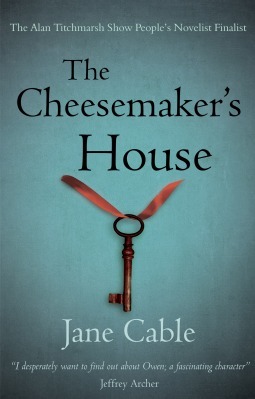 The central image for The Cheesemaker’s House cover was originally the key and what it opened (don’t want to say too much here) but that just looked too clumsy so in the end I went for the key on its own. What sort of books do you enjoy reading, and what are you reading now? I have quite a broad taste in books but very little time to read. I find that when I’m writing I get so into the heads of my characters, getting into somebody else’s as well confuses me. I like books where the central characters become friends and where the plot isn’t too obvious. Sometimes it will be a series – a favourite would be Mark Hebden’s Pel detective novels – or sometimes a singular stunner like The Time Traveler’s Wife. Because I’m editing at the moment I’m not reading anything but I’ve not long finished Lorna Fergusson’s The Chase and Daniel Clay’s Broken is next on my list. I write! It’s what I love doing more than anything else and it’s a real luxury for me to be able to sit quietly in my study and create something new. Other than that I’m a bit of a yoga nut and I love swimming, walking and bodyboarding (at the rare times conditions allow). I also have a really special group of friends and a wonderful husband so spending time when the people I love is very relaxing too. It’s a romance-suspense with its roots in folklore, but not a ghost story. I hope readers won’t be disappointed with that but I had finished three drafts of it before The Cheesemaker’s House was published. I thought long and hard about whether it was right to want to publish it next but I still believe in the story so I’m going to follow my instincts. It has the working title of The Fairy Tree and is set around a real tree on the banks of the river Hamble which has its own special place in the community. If I publish the book independently I hope it will be out in late 2014 but I might still have a go at trying to attract a mainstream publisher for it. If that happens then the timing will be out of my hands. Thank you very much Jane. I really enjoyed reading The Cheesemaker’s House and look forward to your next book. Jane Cable’s novel won the Suspense & Crime category of The Alan Titchmarsh Show’s People’s Novelist competition, reaching the last four out of over a thousand entries. The judges of this competition compared her work to that of Barbara Erskine, but it also resembles the more recent works of Alan Titchmarsh or Kate Mosse.